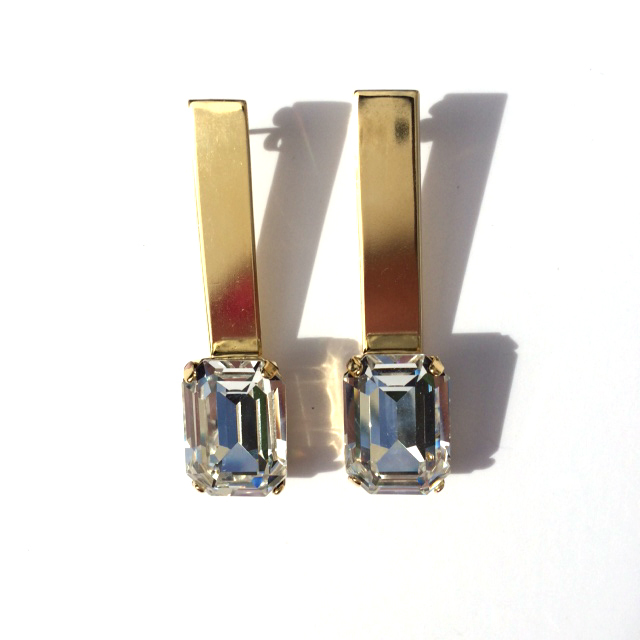 Earring with clear Swarovski rhinestone. Wear 3 on the left and 1 on the right, 2 on the left and 1 on the right, or just 1 on the right……whatever works for you! Sold individually just in case you choose to wear 3 or just 1!